An oxymoron? A euphemism? A tech fad? Or a rising trend? We are talking about Fintech. Finance and Technology. Watertight and separate. Today, they have become one, at times separated by just a hyphen. We call it Fintech. It is blazingly hot. Amazingly uber. 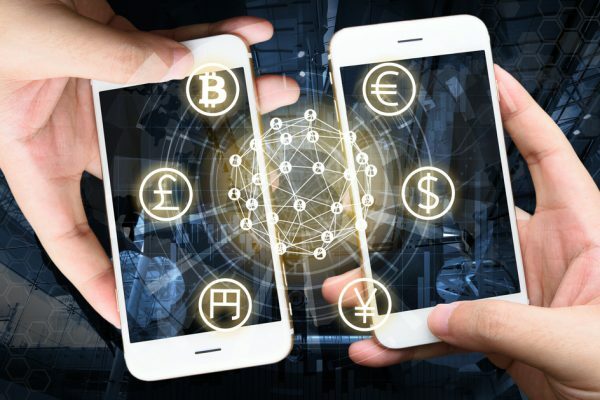 It is a business that combines technology and finance to provide financial services, it has crossed myriad labyrinths from crowdfunding and payment technologies to Blockchain and Artificial Intelligence(AI). They are no more the ‘what if’ scenarios of Finance. They are the progeny of the marriage that has consummated between Finance and Technology. Fintech has biforked into categories – first is incumbents (existing banks and tech companies) and second – tech startups in the financial services space. Fintech has been hailed and welcomed across budgets and Governments. Is it a mere oxymoron? Or a trend that will take the global economy by storm? The old school still believes it is a fragile bubble that would burst. Fintech investment levels that were stratospheric 3 years ago have plummeted. There has been a recent decline in the funding, there are not so many tradable stocks in the crypto finance and a drop in the value of a few high profiles disruptive fintech giants. The fintech model takes a lot of time to translate from a proof of concept to production and finally adoption especially any disruption in the blockchain. People want to invest in something that is antifragile and is long term. Moreover, it is about customer trust. There still exists an old school of customers who are unwilling to wean from the traditional model of lending and borrowing through their tried and tested partners ie banks. This elongates the ‘time to market’ of these fintech companies and thus they burn out on cash finding it difficult to survive and thrive. They meet the quicksands quickly and are forgotten. There is another side to the story. Fintech has been hailed as the next best business everyone wants to get into. The numbers say it all. An analysis by A.T. Kearney, an American global management consulting firm, shows that stock returns for banks that bought technology companies far exceeded returns for banks acquiring other ‘like’ peers. The numbers reveal something deeper. Fintech is not just another tech fad. It is a business model that eases the way people do business. Fintech corporations have introduced flexible models that adapt to demand from customers. This plays to companies’ advantage as it reduces speed and cost associated with traditional infrastructure and allows firms to adapt fast to the changing customer needs. Moreover, Fintech cuts across sectors through its disruptive technology tailored to gear up the fledgling sectors. For instance, Fastacash in Singapore has made inroads into social and mobile payment domain. It also serves the hitherto unserved markets by the incumbent financial institutions. Fintech is not just another ‘me too ‘ innovation. It has a huge benefit over traditional banking organizations in that Fintech firms are not subject to the same federal regulations. They have the freedom to create and play with user experiences that make customers’ lives easier. It is not only about not having to go to the bank to deposit a check. It is about creating new opportunities hitherto unexplored and untapped. It is about creating opportunities for crowd-sourced investments, the chance to refinance or borrow — the chance to purchase your home or car, entirely via phone! In effect, FinTech is empowering users not just to bank — but to completely rethink their financial well-being. It is making them invest in themselves and have a better control over their financial lives. And it is not without Government support. In many countries, the Governments have set up sandboxes to test scenarios and find out how technology can be used to solve problems and leverage on time and streamline operations. In Singapore, the government has invested some S$100 million to fund local technological innovation for early-stage startups. Singaporean fintech start-up SoCash was announced as the first fintech start-up to receive backing from the Monetary Authority of Singapore. Fintech is an all-pervasive global phenomenon, and Singapore definitely has a substantial footprint. The 2018 budget of Singapore brought to the forefront twin objectives. One- the promotion of Singapore as a financial technology hub and second the launch of SG-Innovate. A new fintech office will be set up by SG-Innovate and the Monetary Authority of Singapore, to act as a one-stop provider for startups in the fintech sector. With London recouping from Brexit and silicon valley being oversubscribed to fintech startups, there are high chances of talent migrating to destinations like Singapore. Banks and Fintechs – two cooperating camps. Is it a goodbye to banks? Well, no. Banks have decided they will not exit. Rather they will pause and shake hands with fintechs. They have realized how millennials have gravitated towards fintechs, and they understand the need to collaborate with fintechs and leverage the full potential of technology that will allow them to meet the demand of digitally savvy users. EY FinTech Adoption Index 2017 released in June 2017 indicates that the appetite of digitally active consumers has risen considerably, from just one in seven digitally active consumers in 2015 to one in three in 2017. The report also shows that in 2017, there are 84% of consumers aware of the fintech facilities in comparison to just 62% in 2015. The same reports show that the fintech adoption rate is expected to reach an average of 52% globally from the current rate of 33% in 2017. Fintech startups will fragment and disintermediate the primary banking relationships. They have shifted from advice or relationships to a transactional model. With customers becoming more and more tech-savvy and enjoying the delights that organized retail offers them, it would become increasingly difficult for incumbent banks to cater to their flex demands by sitting on their legacy systems. They will have to ditch them for leaner, faster, cross-platform systems that are more responsive and secure. Digital Transformation would be imperative to move fast and forward. Digitization is the solution. But not the only one. Almost everyone is doing it. You may just be a ’me too’ in the market. You have to strike empathy with the most significant stakeholder in the game- the customer. Focus on his problems. Move towards design thinking. Design thinking shifts the focus to the end user. The empathy exercise would put the banks towards visualizing the customer journey and making it seamless and also predictive. Banking providers will focus on a few key use cases and technologies where customer-first design is key, like account opening and augmented reality. Many of the banks have set up innovation labs to adapt to the changing landscape. They have moved to augmented reality (AR) and virtual reality (VR) coupled with developments in immersive UX design aimed at improving the customer experience. The account onboarding process will see a boost from UX design technologies in the form of a more interactive and gamified experience with natural language processing and machine learning. Step in the shoes of the customer, initially- not as an afterthought. According to a report from Synechron, artificial intelligence (AI) and Machine Learning(ML) will continue to disrupt the financial services industry. AI development will focus on cognitive use in the sales, marketing, investments, wealth management and compliance sectors of the financial services industry. This is a critical step in moving from advanced robotic technologies like machine learning and predictive analytics to real growth in cognitive computing. Robo-investors will become the centralized fintech platform for wealth managers. These robot investors will use big data, machine learning and AI to essentially cherry-pick the best investment opportunities for this new generation of investors. If we combine AI and ML, it would create a powerful combination of speed and accuracy, which unlocks the potential for mass customization of financial services. With an enmeshed and mazy regulatory environment, financial institutions will also start looking at AI to gain meaning from larger and larger volumes of regulatory data. With newer regulations like Fundamental Review of Trading Book (FRTB) and Consolidated Audit Trail (CAT) compliance, a tech-first approach will become necessary. This will lay the foundation for greater economies of scale across data, analytics, and related risks. Blockchain and Bitcoin – the cousin’s trump. Well, you may be skeptical about it, but the fact remains that the bitcoin genie is finally out of the bottle, and is tromping ahead with its less popular cousin- the blockchain. It has made many users bid adieu to physical currency and move on to digital currency. Blockchain may still be shrouded in mystery but the mystery has started unfolding. It actually eliminates intermediaries to do asset transfers like titles, home sales, vehicles etc. This cuts the transaction time from 2- 3 days to a few minutes. Moreover, the distributed ledger technology and the audit trail it leaves behind leads to huge cost savings and security benefits. The growing number of peer to peer transactions would accelerate the velocity of blockchain and it would continue to disrupt the fintech industry. It may not be so much of a consumer product today, but it will find its way further into the fintech space creating a piece that gives mental peace while doing financial transactions and This is HUGE. The adoption of the cloud in banking will increase, but with a focus on security and regulatory compliance continuing to be the front and center. Expect to see enterprise-wide middle- and back-office applications start to move into the cloud. Banks and credit unions will feel the push to create more cloud-enabled business models, while the use of open APIs will drive consumer applications to the cloud even more. Today, we all are moving towards the use of alternative data. Companies will continue to find new ways of leveraging data to personalize financial services for the underbanked. For example, there has already been a great deal done using data — e.g., telecom data, utility payments, government records, small business transactions — for real-time, predictive credit scoring, but as recent studies have shown, there are limits to certain forms of data and the field is still learning what works and what doesn’t. There would be a lot of traction on this front in general and in particular, on how data analytics companies could create or access new forms of behavioral data. Piggy ride on data and bring about financial inclusion. Today, fintech sits at a curious cusp of change- that of a bubble ready to burst and also of a sector that holds potent promise. Which side it would gravitate, only time will tell. But while it is there, it will create some deep pockets, and yours may be one of them. Gauri Chhabra is a gold medallist in English and an MBA. She has helped clients in streamlining business plans, strategies for future and creating an impact. She likes to keep up with the world and writing helps her do that. She regularly writes articles for many leading newspapers, magazines and websites. Gauri is also running her blog for last 10 years. Being a Motivational speaker, Career Consultant, Philanthropist, Blogger and Career Catalyst. Gauri believes in “life is less what you take and more what you make”.